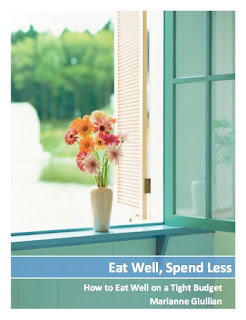 Spendwise Moms: IHOP - Trick or Treat, All You Can Eat! 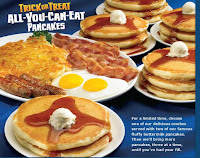 IHOP - Trick or Treat, All You Can Eat! For a limited time, IHOP is having Trick or Treat All You Can Eat Pancakes when you order a combo starting at $4.99. For more information, go here and for participating locations, go here . I always like to call ahead to make sure that the location near me is offering the special. Also, on October 29, children under 12 can get a free Scary Pancake. One per child, dine in only.